Budgets are tight for many year round, but especially during the holidays. It is important to budget carefully so you can get all the necessary holiday decorations, presents, and still have enough money to travel to family or friends. Here are 7 of tips to help you stay on budget this holiday season. Use Debit instead of Credit. If you use a debit card, you are forcing yourself to spend only what you have. Debit cards also let you avoid paying interest. Make sure you know how much money is in your account. Know what you can spend and stick to it. If you can only spend 10 dollars on your friend, then only spend 10 dollars. Don’t go over, no matter what and keep a list of what you spend. Make a detailed list of who you want to buy for, how much you want to spend, and which gifts you expect to buy. This helps to keep you focused and prevent you from purchasing something more extravagant. Browse before you buy. Do some research before you go to the stores. Go online and look for better deals. It also helps to narrow your purchases down to just a few stores to save on transportation costs. Free gift wrap. While many people turn down a free gift wrap, you shouldn’t. It not only saves you time, but money. It prevents you from having to buy wrapping paper, bows, and other wrapping necessities. Get creative. Sometimes the best gifts are homemade. Don’t be afraid to try your hand at getting crafty. Sites like Pinterest have many great crafting ideas. Just be sure you start early enough to get all the gifts completed in time. Travel wisely. If you travel for the holidays, take some time to determine just how much it will cost. If you plan your travel costs ahead of time, you can save money by not having to rely on credit cards. 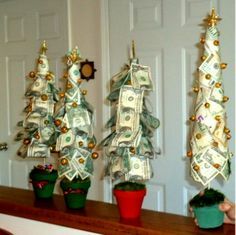 Do you have any holiday budgeting tips? If so, please share them in the comment section below. Last Wednesday, the ABLE Act passed the House with a vote of 404-17. The Senate is expected to take action this week, and it is likely the bill will pass; however, the National Center for Independent Living (NCIL) has concerns regarding the bill. Recent changes to the bill have made it so that only individuals who acquire a disability before the age of 26 are eligible for an ABLE account. Individuals who acquired a disability at or after the age of 26 will be unable to have an ABLE account. The ABLE Act is important for all people with disabilities, regardless of when they acquired a disability. Asset accumulation is important for everyone with a disability. Age is not a factor. Everyone should be able to improve their economic status and earn their way out of poverty. Let the Senators of North Dakota know how important it is to make this bill open to all those with a disability. Make your voice heard by contacting your Senators. ABLE Act Passed the House. Will it Pass the Senate? Advocates pushed Congress to vote on the Achieving a Better Life Experience (ABLE) Act which would allow people with disabilities to open tax-advantaged savings accounts. On December 3, the bill was voted on and passed in the house. It is currently waiting for the senate vote. The bill is co-sponsored by 85 percent of the members of Congress (74 senators and 380 representatives) including a North Dakota Representative Kevin Cramer. 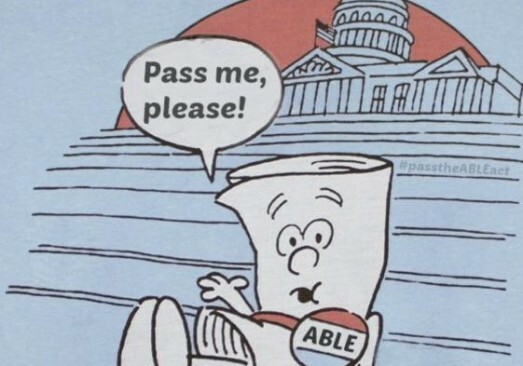 The ABLE Act has been in development for about eight years. This legislation would amend current tax code to create tax-free savings accounts for people with disabilities to cover qualified expenses such as education, housing, and transportation. The ABLE Act would supplement benefits provided through private insurance, Medicaid, and other sources. It is important to note that the ABLE Act would not change the benefits provided. People with disabilities often have limits to earning and saving money which creates barriers for employment, independent living and self-sufficiency. The limits also affect decisions such as whether parents of children with disabilities can leave them estates or the family home to ensure their well-being. The bill would allow beneficiaries to keep up to $100,000 in the tax-advantaged accounts. Some feel this legislation is an expansion of welfare programs, but it isn’t. This bill allows a tax-advantage. The money that enters the account would come from friends and family, not the state.